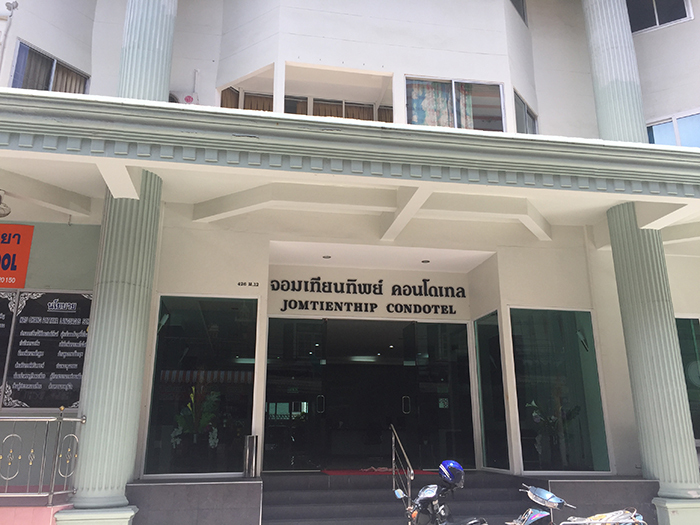 The Thip Condotel is located close to Jomtien beach at Soi 7 in Jomtien approximately 150 meters from Jomtien Beach Road and Jomtien Beach with the main Baht bus route at Jomtien beach road. Nice Pool area on the 4th floor. 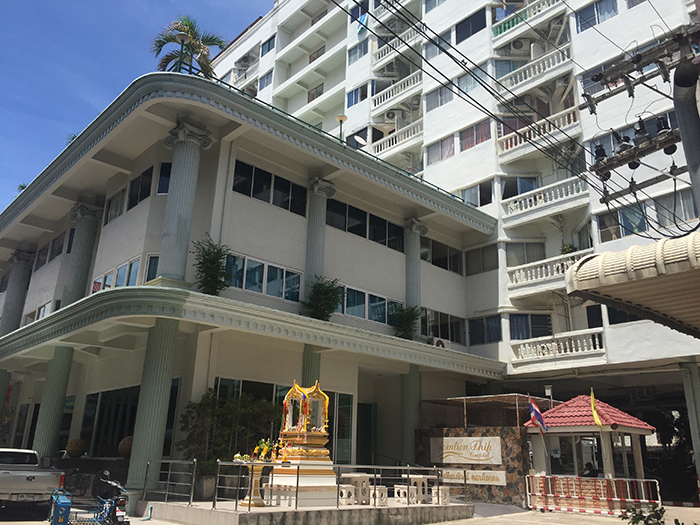 Thip Condotel is in a very central location in Soi 7. Not only do you have Jomtien beach close by but also Thai restaurants, International restaurants, bars, Rompho market, massage parlors, shopping, 7-11's, and anything else you may need. 2 minutes walk to Jomtien beach only! 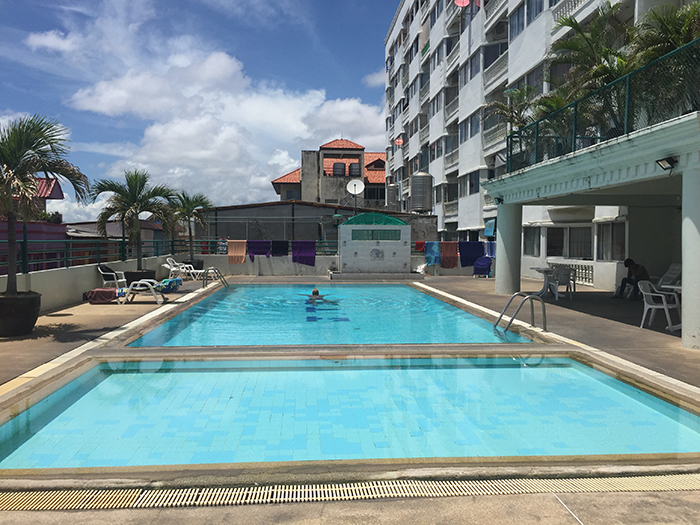 This condominium building is also in walking distance to Dongtan beach. Take a baht bus from Jomtien beach Road and you are in Pattaya City in about 10 minutes for 10 baht. 10 baht each way and they go day and night. Very comfortable and cheap transportation from Jomtien to Pattaya City. But really Jomtien has everything you need. Thip Condotel has a roof top swimming pool on floor 4. 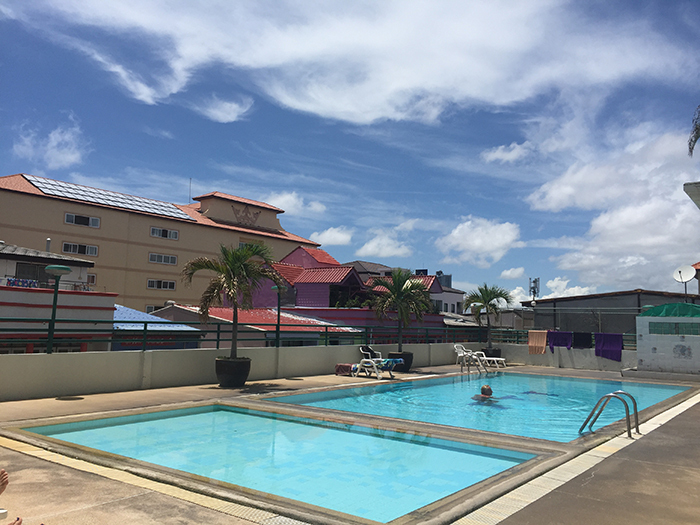 Roof top swimming pool, covered parking, 24 hours security, sitting area on by roof top swimming pool. Features: kitchen fully kitted out, air con & fan, LED flat screen TV, fully furnished, newly remodeled, 35 sqm & small balcony with good views.